Headed to the seaside? 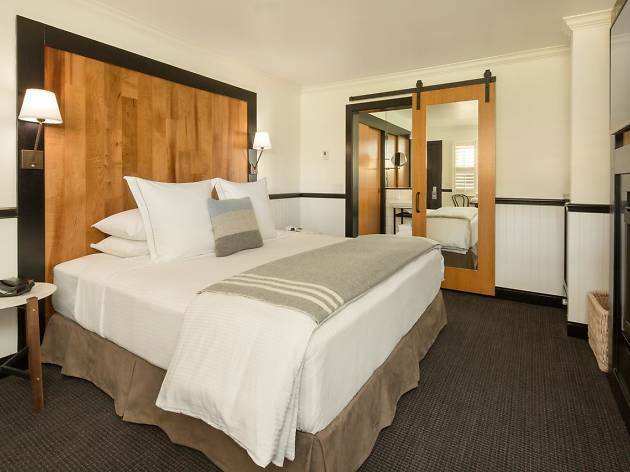 Cozy up in a plush bed at one of these top hotels in Carmel. Enchanting Carmel-by-the-Sea exudes romance, from its cobblestone streets to its storybook architecture. Already a beneficiary of the Monterey Peninsula’s dramatic coastal scenery, the forest-set village doubles down with secret gardens and window boxes brimming with picture perfect blooms. It’s so exceedingly charming, we’re just glad Charmel never became a thing. Here, cozy inns are the lodging of choice with warming fireplaces and comforting breakfasts. 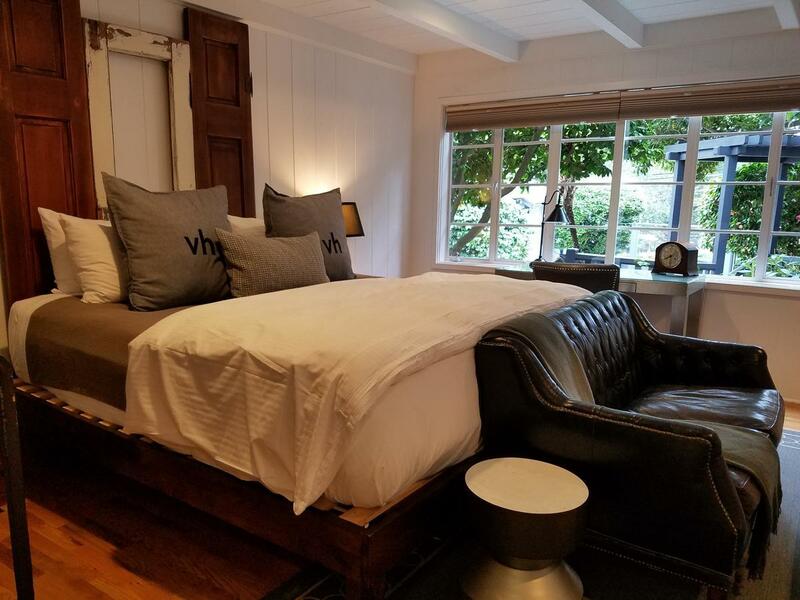 Thankfully, innkeepers have recently begun modernizing interiors, upping thread counts, and assembling a quality spread that’s worth getting out of bed for in the morning. 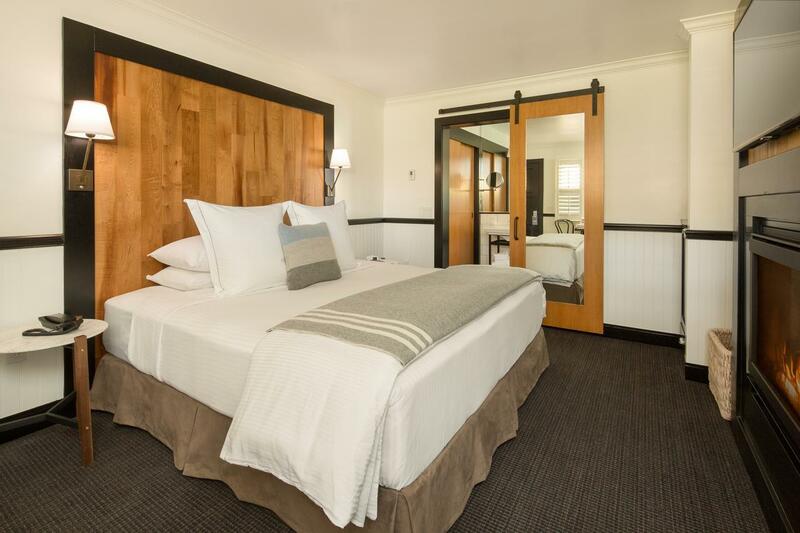 If this is what the Carmel inn of the future looks like, consider us enthused. 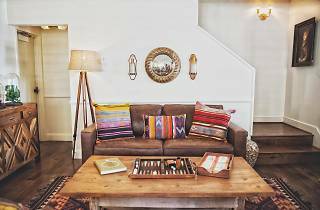 A lobby with vintage furnishings, kilim throw pillows, and a tape deck backed by a wall of 80s era cassettes—from Madonna to The Clash—is your first hint that this isn’t your grandparent’s Carmel. Stylish interiors are decked in vintage and natural elements lending the property a hip, bohemian vibe. While some rooms advertise private balconies, we’re happier hanging on the trellised courtyard with outdoor fireplace, comfy lounge seating, and a hot tub awash in vivid Spanish tile. Grab craft beers and burgers at the onsite Brophy's Tavern, a hip take on an English pub whose walls are lined with vintage beer cans. Come morning, the inn eschews the cutesy Carmel breakfast for a convivial, self-serve bagel bar. Time Out Tip: Vintage fans will dig the original Dwyer kitchenette with functioning ice box in the Courtyard King Suite. 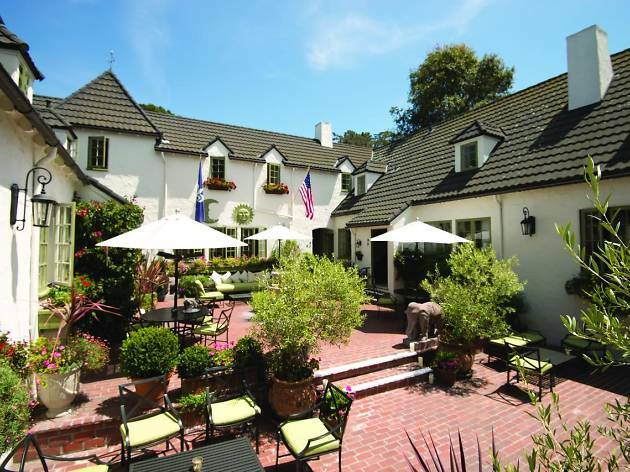 Carmel is famously dog-friendly, and this 1929 Spanish boutique hotel is proof. 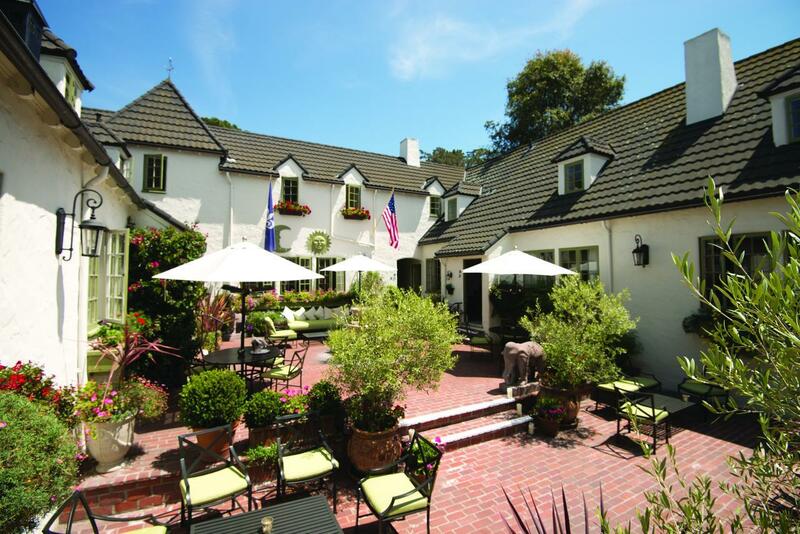 Owned by Hollywood legend and animal activist Doris Day—who turns 96 in 2018!—the Cypress Inn extends a special welcome to four-legged guests. Here, people watching is secondary to dog-watching as mastiffs and maltipoos parade through the lobby, and sit down for meals at the Moorish-style restaurant screening technicolor Doris Day flicks. You can nurse a classic cocktail in the cozy, fireside living room, but we’re partial to the atmospheric outdoor courtyard strung with twinkling lights and warmed by a blazing fireplace. Time Out Tip: The property’s 44 rooms vary tremendously in layout and locale, so do your homework! It’s Gatsby-style vibes and luxury at this historic charmer situated a few blocks from the shore. Sipping a mimosa on a terrace overlooking landscaped gardens and the blue Pacific feels like weekending at the estate of the wealthy friend you never had. 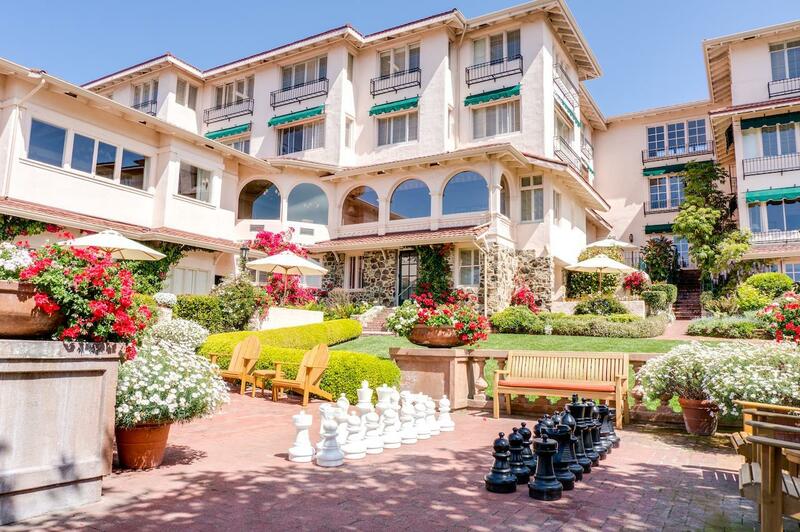 The 1905 grande dame underwent a recent renovation that brought it back to its original grandeur with coastal cottage-like rooms and the type of garden that usually charges admission. Sip cocktails at the clubby, Clue-worthy bar, and wake to a complimentary, champagne-fueled breakfast buffet with pastries, cheeses, and made-to-order omelettes and waffles. The building was originally built as a private mansion for a family member of the Ghirardelli chocolatiers. Why should you care? Warm chocolate chip cookies and milk served every evening, that’s why. 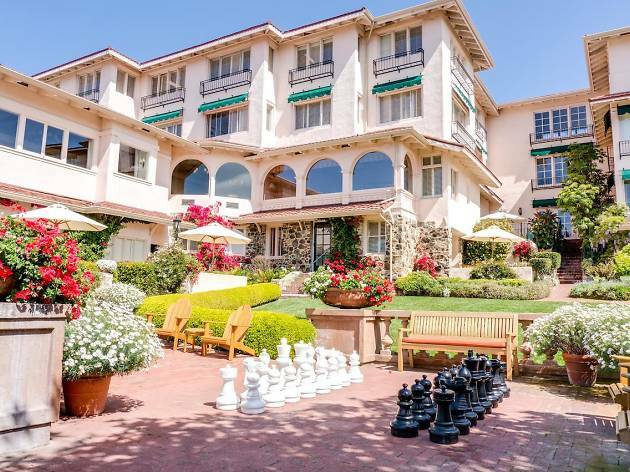 Time Out Tip: Like most properties in village, the hotel is walking distance to Carmel’s shops, restaurants, and—as its name implies—the famously scenic beach. La Playa goes a step further with complimentary transportation for when your legs give out. The Relais & Châteaux placard tells you everything you need to know about this upscale European style inn. 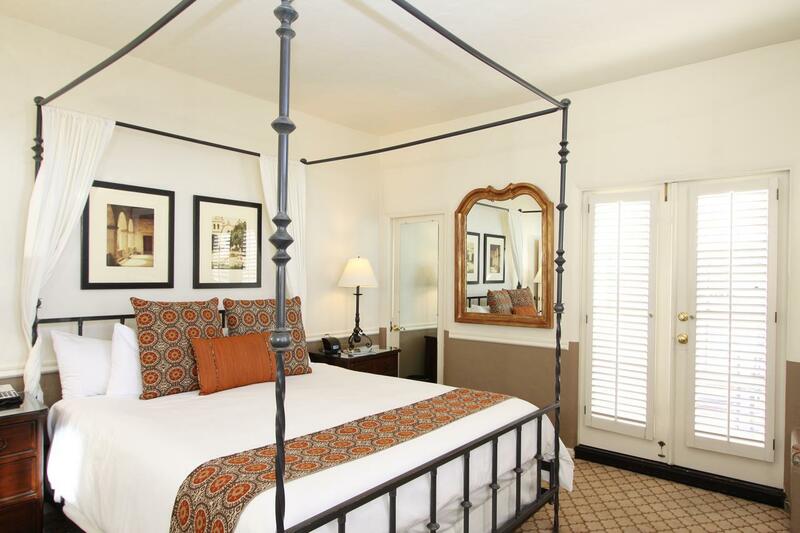 Newly renovated rooms feature custom fabrics, original antiques, and hand-carved canopied beds. Yep, we know you love your views, but we’ll take the ground floor’s custom-made hardwood floors over second floor carpeting any day. The inn’s restaurant, Aubergine, is a destination dining room that’s racked up both critical and diner-based awards for its innovative tasting menu that taps regional ingredients such as locally harvested seaweed. A 2,500-bottle strong wine cellar doesn’t hurt, either. No surprise, then, that the complimentary breakfast is a highlight with local coffee, housemade pastries, and eggs prepared to your fancy. Time Out Tip: Aubergine’s tasting menu is special-ocassion spendy. Frugal foodies should watch for the restaurant’s occasional Redefining Flavor dinners which condense the regular eight-course menu into four-courses at nearly half the expense. This stylish 24-room property offers a notable upgrade to the tried-and-true Carmel inn formula of a cozy room, fireplace, and breakfast spread. The upscale Plumpjack Group stripped an older property down to its studs and gave it the same luxury treatment bestowed to its other well-regarded properties (such as The Carneros Inn in Napa). Sleek rooms are easy on the eyes, but the majority of Instagram pics will be of the dazzling bathroom lined with vibrant Moroccan tiles. There’s complimentary wine and cheese in the evening, but save room for the morning feast. Even in a breakfast town like Carmel, The Hideaway’s morning spread stands out with mini frittatas, quality charcuterie, and weekend mimosas. This charming English Tudor style inn has the best of both worlds: a quaint, Hansel-and-Gretel exterior and freshly renovated, modern interiors. 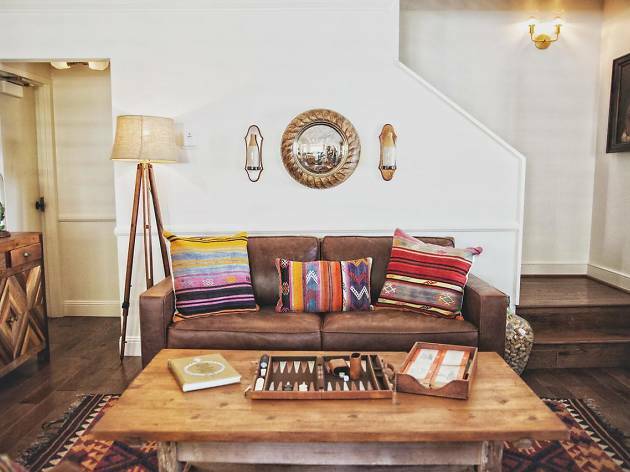 Handmade leather furnishings, plush beds, and fireplaces outfit cozy, contemporary rooms. Giant barn doors slide open to reveal spa-like bathrooms with deep soaking tubs and heated tile floors. In the evenings, guests gather around a fire pit in the light-strung stone courtyard for complimentary wine and cheese. The inn is one of few to offer “breakfast in bed” with a tray of quality breakfast goods—soft-boiled eggs, pastries, fruit from the local farmers’ market—delivered to your room each morning. 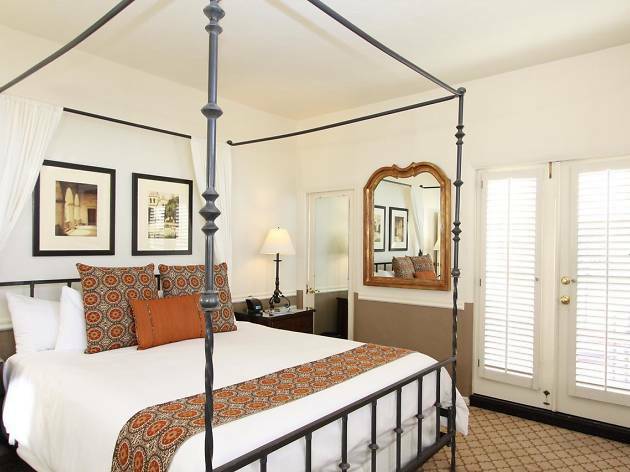 Time Out Tip: Room layouts and furnishings vary with just seven of its eleven rooms having been recently refurbished. Before click “book,” check their site or pick up the phone and get the room you want.